We have no doubt that you want only the best for your pet, but the question is whether you know what that means. For example, you are probably aware that you need hamster bedding, but which one should you purchase to ensure your pet’s maximum comfort and safety? Fortunately, you do not have to perform extensive research as it is enough to read this article and find out everything there is to know about small animal bedspreads. We will cover all important features and points in the buying guide below, but let’s start with the best hamster bedding reviews! 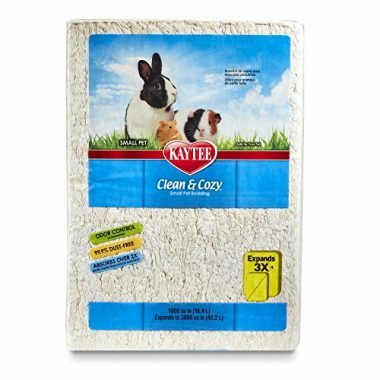 Kaytee hamster paper bedding is a mixture of recycled remnants from other hygienic products, which implies that this product is environment-friendly. However, it is more important to pinpoint that this product is friendly toward your pet as the generous amount of paper is what they need to dig through it or nest, which guarantees plenty of fun for your hamster while he is doing his favorite activities. We also love this product because it is 99.9% free of any dust and that not only means that the cage will stay relatively clean, but also that your pet will be absolutely safe. There are no sharp cuts that could cause him to bleed or anything like that, but only shredded paper and lots of it since the large packaging is sized at 49.2 L. Clean & Cozy White Small Animal Bedding by Kaytee also has impressive absorbing properties as it can absorb six times its weight and two times more than hamster wood shavings, which will definitely help to keep the odor under control. Just as an extra, let’s mention that the product comes at an affordable price cost when compared to other items on the list and you will surely get excellent value deal for your money. 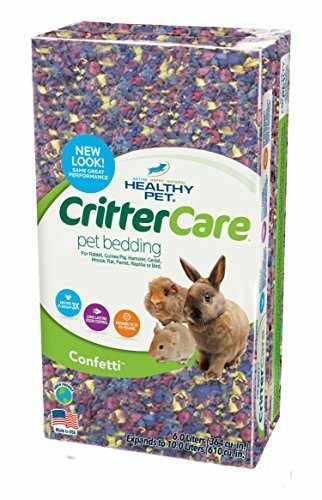 Our next in line of suggestions for the best hamster bedding comes from Small Pet Select, a company that is based and makes all their products in the United States. As for this product, it is another type of paper bedding which is, in this case, made of unbleached paper that the manufacturer claims has never been printed. The first thing we noticed is compressed packaging, which is 56L, but expands three times once it is opened, which implies that you would get a couple of months’ worth of bedding. The important thing to mention is that the Premium Soft Paper Bedding doesn’t contain any scents or other unnatural additives and only includes paper, which means that it is completely safe for your pet. The truth is that you get a huge pack of top quality hamster page bedding at the cost that is worth it. You should keep in mind that the product does not absorb moisture or smell as well as some other bedspreads on our list, but that’s far from being a deal breaker for purchasing this item. You know how you love your pet, but you are very aware that its urine produces an odor that is plain smelly? Well, they are aware of that at Carefresh, which is why they decided to include a proprietary formula that has the goal of controlling that odor. According to the manufacturer, the formula is made to last for 10 days, which should be the period during which you are safe from smelling your pet’s urine when you come into the house. 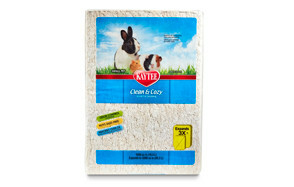 Your pet will also be safe in this dwarf hamster bedding as it was made of recycled paper from other hygienic products. That means no sharp pieces, but it also means that it can absorb three times more than hamster shavings, which will come helpful during the 10-day period you should be guaranteed to be free of smells. The manufacturer guarantees that there is no dust in at least 99.9% of the product and, if your pet is picky, you may go with an alternative blue variant of the bedding that can also improve the overall aesthetics of the cage. We believe that there is no pet (or human) in the world that doesn’t appreciate a fluffy and soft bedspread. Now, we do not know if this is the best hamster bedding available on the market, but we are sure your pet will enjoy it. It is made out of recycled paper that reminds of cardboard paper and it is available in just one pack – 12.5L (expands to 30L). When it comes to odor control, you shouldn’t expect too much from HPCC Natural Bedding by Healthy Pet, but in the end, that depends on the hamster and the amount of urine he releases. The paper does have the ability to absorb three times more than it weighs and, once you clean the cage, you can dispose of it via composting. The problem is that the manufacturer doesn’t state a guarantee about the dust-free percentage, which makes us worried that this is just cheap hamster bedding and that there are better options on the market. Once you finish reading all reviews, you will realize that Kaytee is the dominant manufacturer with three products included in our top 10 hamster cage bedding list. 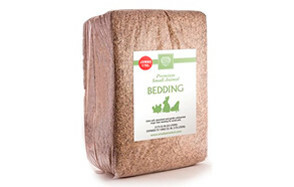 As for Clean & Cozy Scented Small Animal Bedding, the key word is “scented” and the vital point to emphasize is that this, not an artificial smell or anything like that. The manufacturer included lavender buds so that you and your pet could enjoy the nature-like smell coming from the cage. Now, as for the characteristics of the product, you could say that it has everything you could expect from hamster bedding. The entire bedspread is a mixture of lavender buds and recycled paper from other hygienic products (it doesn’t seem to be cardboard, but tissue and toilet paper). This makes things perfectly safe for your small animal and the manufacturer guarantees that it is 99.99% dust-free. Finally, this product has one of the best absorption properties we have seen in hamster paper bedding as it can absorb six times more than it weighs. You should be careful when it comes to hamster wood shavings used for cage bedding, but this product is as safe as a wood-made option can get. 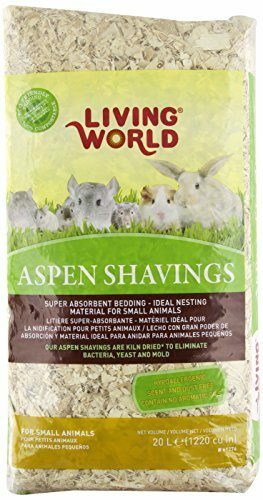 The thing with Wood Aspen Shavings by Living World is that they were dried in a kiln which should prevent any mold, yeast, and bacteria. They also do not contain any aromatic oils or other artificial ingredients, which means we are talking about 100% aspen wood, which is, by the way, a far better choice than pine and bark. There is no danger that your pet would cut on these hamster shavings and they mimic their natural environment in an excellent weight. However, the problem lies in inhalation of the dust, which may lead to breathing problems, especially in a small space like a cage. To be honest, this will probably not happen as the amount of dust is tiny, but it is something to keep in mind. Also, the product does a fine job in absorbing the moisture, especially if you consider that the bedding is made of wood, but it could be better at odor control. The compressed volume is 20L, but it expands to 1200 cubic inches. It should be a rule, but it is always nice when the manufacturer emphasizes that the product was not made of any waster paper that was previously consumed, but solely from renewable wood fibers. 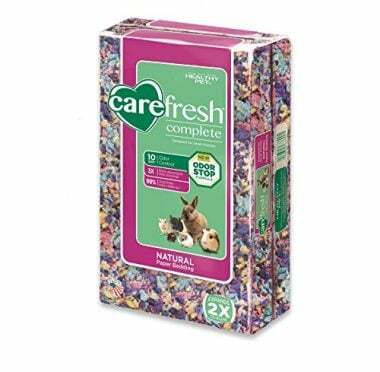 That is what Carefresh did with its Complete Natural Paper Bedding Confetti, which probably is the best-looking hamster bedding on our list. The pieces of paper come in all sorts of colors, which add to the overall aesthetics of the cage and makes a fun place for your hamster to spend time in. 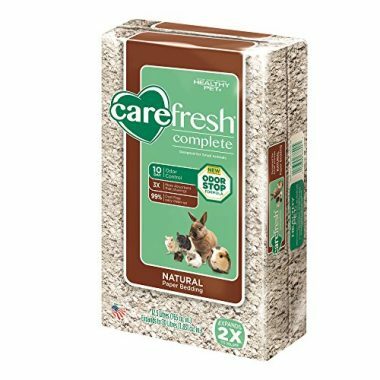 Just like the other Carefresh product we reviewed, this hamster bedding uses a special formula to keep the odor under control for up to 10 days. That might be a bit ambitious and may depend on the animal, but you will certainly be safe for several days. The important thing is that you shouldn’t worry if your pet ingests the cage covering because it contains no chemicals and doesn’t present any threat to their health. The bedspread is almost entirely free of dust (99.9%) and it has fantastic absorbing properties to prevent your pet from being wet all day long. Is the best hamster bedding the one who comes in different-colored confetti? We do not have a way of knowing that, but we would recommend this product if you are looking for a dwarf hamster bedding. It comes in a 6L-pack that expands to 10 liters once it is opened, so if you noticed the affordable price, make sure to also take into account that this is a small packaging with not a lot of confetti inside. However, those that are included are of various colors to try to make an even more fun experience for your pet as he burrows through and chooses his place to nest. There are softer options on the list if you feel like that is the primary concern of your pet, but this model does a solid job in absorbing moisture and it delivers odor control up to a certain level or, better put, for a certain amount of time. 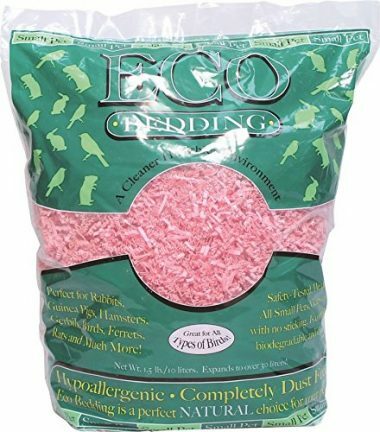 Finally, allow us to mention that the company is a friend of the environment as it uses only recycled paper for this hamster bedding confetti. Do you have a female hamster that only wants to burrow and nest in pink hamster bedding and doesn’t accept any other color? Or, let’s make a more believable scenario - do you have a daughter that would just love if her hamster’s bedspread could be pink and fluffy? 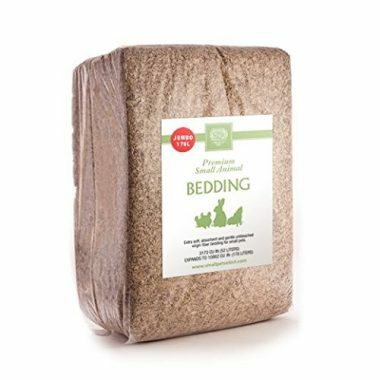 If the answer is yes, the Eco Pet Bedding by Fibercore is made precisely for your needs. However, let’s put the jokes aside and discuss the performance of this product to see if it is worthy of your money or it is just cheap hamster bedding. For starters, the product arrives in a 10L pack that extends to 30L once uncompressed, which makes this bedspread a good value for the price. The manufacturer emphasizes that this is eco-friendly bedding and that it is made of natural material, but fails to list what type of material is that. We do know from the label that the ingredients are biodegradable, so we would assume that these are wood shavings that were naturally died. If your hamster loves to spend time in them, they should be safe as the manufacturer pinpoint that the product was safety tested, and pet owners will appreciate that the product is easy to clean up. 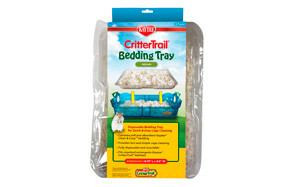 This is the third hamster cage bedding from Kaytee and the last one that we will review in this article. 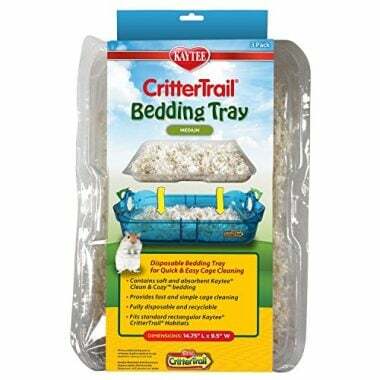 CritterTrail Small Animal Bedding Trays were specially made for pet habitats designed by this manufacturer and their goal is to make the process of replacing the bedspread as simple as possible. When it comes to cage covering itself, it is nothing else than Clean & Cozy bedding we mentioned previously. In other words, you will get hamster paper bedding made of recycled hygienic products and capable of absorbing phenomenal amounts of moisture. The product is 99.9% dust free, which means that you do not have to worry about your pet having any sort of breathing issues. The dimensions of the tray are 14.75 x 9.5 inches and the bedding is not reusable, but you can wash the tray and keep it for further uses. Price – cheap hamster bedding usually means bad product, but that doesn’t mean that you should overpay for the bedspread. The smart move is to analyze the price and the size of bedding you get for that money and then compare it with similar options on the market to make sure that you get the best value for your investment. Q: What is a hamster bedding? A: Hamster bedding is, in fact, bedspread used to cover the floor of your pet’s cage. The idea is to make them as comfortable as possible and perhaps even create bedding that will remind them of their natural environment. 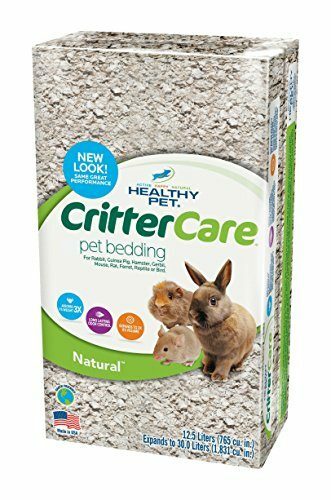 The best hamster bedding will motivate them to dig through it and nest, and it will also absorb (most of) their urine, which will keep your pet dry. Q: How often do I have to change the bedding? A: There is no strict rule when it comes to changing hamster cage bedding, but you should definitely do so if you notice that it is dirty or wet or that you feel the smell coming out of the cage. You will probably be safe with changing the covering every two weeks unless the pet is really messy. A thing you should keep in mind when changing hamster bedding is the pet’s stash of food which will probably be somewhere in his nest. You do not want to risk making your hamster angry, which is why you should ensure to leave him at least some of the food when you are cleaning the cage. Q: Will hamster bedding help control the odor? A: In theory, yes, but the efficiency depends on the bedspread you choose. Cheap hamster bedding will probably not have proper odor control, but you can purchase coverings that come with a formula designed to keep the smell of urine for several days. Q: What happens if my hamster eats the pet bedding? A: As long as you choose natural hamster bedding free of chemicals and sharp pieces, there is no danger if your pet eats the bedspread. You should avoid hamster shavings, especially if they come from pine wood, as your pet may cut or even suffer from internal bleeding if he ingests a sharp piece of the bedding. The safest choice is to go with hamster paper bedding as it should be soft and safe even if your pet consumes it. 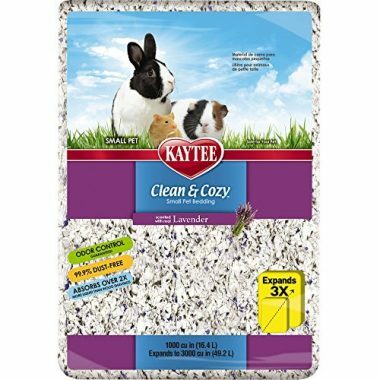 We took another close look at our top 10 list and came to a conclusion that the best hamster bedding your money can buy is the Clean & Cozy White Small Animal Bedding by Kaytee. A reputable company is behind this product and you can see that every step of the way. Everything starts when you get a large pack of 16.4L that expands to 49.2L once uncompressed and you realize that you have plenty of hamster bedding for the time to come. You become even more certain that you made the right call when you realize this is hamster paper bedding made from recycled paper from other hygienic products, which means that this is an environmentally friendly bedspread. But the most important part is performance, and this is where Clean & Cozy bedding excels. It is perfectly soft and fluffy, which means that there is no need to worry that he will cut on sharp pieces or something like that. The manufacturer guarantees that their hamster bedding is 99.9% dust free and won’t cause any breathing issues for your pet. The absorbing properties of the cover are unbelievable since it can absorb up to six times its weight, which will help to keep your pet dry and prevent the urine odor from escaping into the room. All these features combine into the best hamster bedding you can purchase so that you maximize your pet’s comfort and safety!